The F4U Corsair S from HobbyZone is a Ready-to-Fly model. The F4U Corsair S not only provides you a superb and colorful color schema and national symbols but also technically is very innovative since it includes the latest SAFE technology. The SAFE technology refers to a new system that combines sensors and software which improves flying operations. The SAFE means (Sensor Assisted Flight Envelope) technology which incorporates multi-axis sensors allowing to the aboard software to know its relative position to the horizon. This new feature allows the pilot to maintain a safe region of bank and pitch angles so you can fly more safely. In addition, and since the planes are not a cheap machine, all products manufactured with SAFE Technology also have a Panic Mode feature that allows new pilots to save the aircraft from a crash with the push of a button. The F4U Corsair is regarded as one of the most accomplished and innovative military aircraft in aviation history. Different than any other fighter aircraft in WWII, the Corsair was respected by both its friends and enemies thanks to its ferocious firepower and impressive versatility. 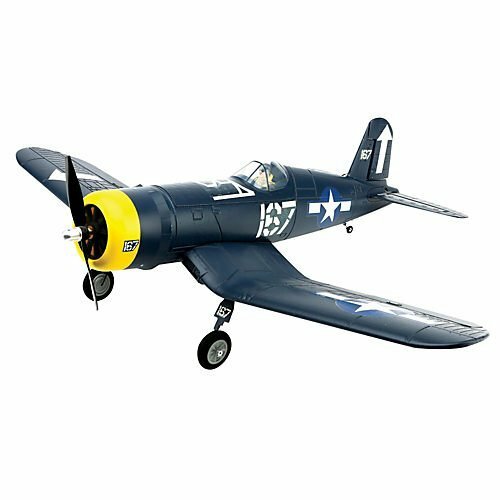 Today, the HobbyZone® F4U Corsair S honors this fighter’s legacy of innovation with a thrilling design that incorporates Horizon Hobby’s revolutionary SAFE™ (Sensor Assisted Flight Envelope™) technology system. 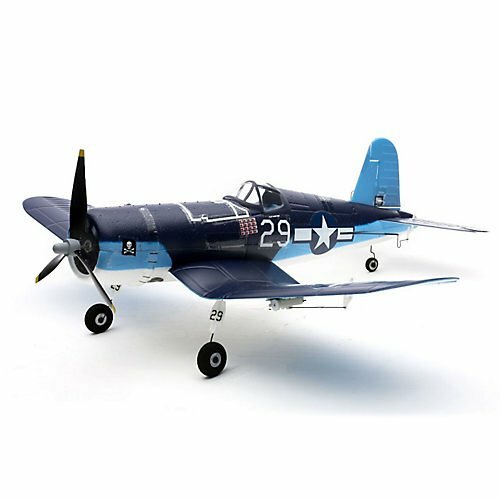 When you fly HobbyZone’s F4U Corsair S, you’ll experience the best modern RC flight technology can offer and the distinction of piloting a legend. With the Ready-to-fly F4U Corsair S, you’ll get everything you need to learn with the legend. A quick comparison with the Ultra Micro corsair reveals that they share many technical features such as number of channels, energy power and resistance. However, the overall length and wingspan makes the difference. As a rule for new pilots (see our tips for beginners) it is always recommended a large wingspan and overall length because it is easy to control.